A 2014 study by Fidelity Investments and the National Business Group on Health reported that employers planned to increase incentive budgets for employee wellness programs by 15% compared with 2013. Moreover, the study reported that incentive spending more than doubled from 2009 to 2014. Corporations allocated $594 per employee on average in 2014. Around 88% of employers with 500 or more workers offer wellness programs of some sort, offering incentives to employees who undergo screenings, and those who achieve certain health-related results, like progressing toward blood pressure or BMI targets. Ensuring that wellness incentives meet the requirements of the Affordable Care Act (ACA) and the Americans with Disabilities Act (ADA), however, presents challenges. The ACA encourages employers to provide wellness incentives, including both penalties and rewards, including significant incentives for helping employees quit smoking. ACA-designated wellness programs may be outcome-based or activity-only. Outcome-based programs offer wellness incentives to employees who meet goals like lowering their body mass index, quitting smoking, or lowering cholesterol levels. For those who don’t meet the outcome-based standard, programs must offer reasonable alternative standards to ensure programs are designed to improve health rather than simply reducing benefits based on health standards. Activity-only programs reward individuals for completing activities related to a health factor, without a particular outcome requirement. Again, a reasonable alternative standard must be offered for those for whom the activity would be unreasonably difficult due to medical conditions. The Equal Employment Opportunities Commission (EEOC) has recently filed three lawsuits against companies for violating federal law with wellness incentives. In August 2014, the Commission charged Orion Energy Systems of Wisconsin with federal law violations under the ADA for requiring employees to submit to non-job-related medical exams and firing an employee who objected. A second suit was filed by the EEOC in October against Flambeau, Inc. of Baraboo, Wisconsin. The suit alleges Flambeau unlawfully threatened insurance cancellation and discipline if an employee didn’t submit to medical testing as part of a wellness incentive program. Employees were required to undergo medical testing or face cancellation of insurance, though they could elect to pay the full premium themselves. A third suit was filed in October against Honeywell International, Inc. The EEOC alleges that Honeywell’s incentives for biometric testing rendered the program involuntary, in violation of the ADA and the Genetic Information Non-discrimination Act (GINA). Honeywell countered that its incentives fall within specified ranges under the ACA. The EEOC says that when wellness incentives are significant (when they include loss of health insurance coverage, large premium surcharges, or loss of 100% employer-paid premiums), they are no longer voluntary. While the recent lawsuits give some indication of what the EEOC considers “significant” wellness incentives to be, the Commission has not specifically stated thresholds that render wellness incentives involuntary. The EEOC has said it plans to issue proposed regulations concerning wellness incentives, but those regulations have not yet been issued. Under the ADA, employers can’t ask employees disability-related questions or require employees to undergo medical exams unless the questions or exams are job-related and necessary to business. But the ADA does allow disability related questions and exams as part of wellness programs that are voluntary, and where the information obtained is kept confidential and not used to discriminate based on disability. Under the ADA, “voluntary” means the employer doesn’t require participation in a wellness program and doesn’t penalize employees for non-participation. As a result of EEOC lawsuits and confusion regarding overlap among the ADA, GINA and ACA, Congress recently sponsored a bill to guide employers. The Preserving Employee Wellness Programs Act (H.R. 1189, S. 620) would allow participation-based incentives for employees and spouses. The bill would also provide employees with 180 days to request reasonable alternative means for individuals where participation may be unreasonably difficult or inadvisable due to medical conditions. Sponsors of the Act, Rep. John Kline, R-MN and Sen. Lamar Alexander, R-TN, state the bill will reaffirm the existing law. • Ensure incentives are covered by the ADA’s health plan safe harbor, which says the ADA can’t be construed to prohibit or restrict employers for creating or administering terms of a benefit plan based on underwriting or classifying risks. Generally, this means making wellness incentives as part of the employer’s group health plan. • Making sure wellness incentives comply with HIPAA. 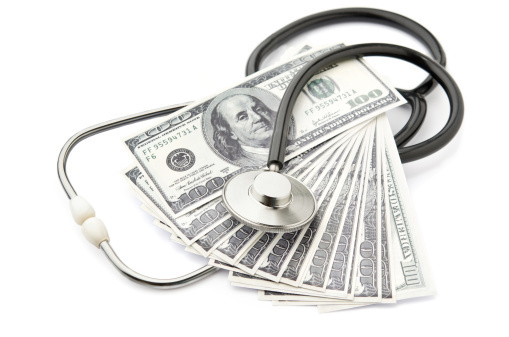 HIPAA limits incentives offered under certain wellness programs. Limits are 30% of the cost of health plan coverage, or, for programs for preventing tobacco use, 50% of the cost of coverage. • Structuring wellness programs as “carrots” rather than “sticks.” In other words, premium discounts for participants are preferable to premium surcharges for non-participants. • Ensuring that employees who can’t obtain the benefits of wellness programs due to disabilities are offered reasonable accommodations like waivers, less stringent target incentives, or alternative programs that encourage healthy behavior. Wellness incentives offered by employers are increasingly popular as healthcare costs continue to increase. However, some wellness incentives are stringent enough that the EEOC has taken notice, and in some cases filed suit, alleging the incentives are significant enough that the programs aren’t really “voluntary” at all. Ensuring that wellness incentives comply with regulations under the ACA and the ADA allows employers and employees to reap the benefits of wellness programs while minimizing litigation risk. Scott Foster is President of Wellco. Wellco provides award-winning, results-oriented systems to measurably improve organizational health costs and conditions. You may reprint any items from Health Trends Blog in your own print or electronic newsletter. When you do, please include the following paragraph: Reprinted from “HealthTrendsBlog.com,” free, proven corporate health strategies and market intelligence from Wellco. Learn more at www.wellcocorp.com. Copyright (c) by Wellco.